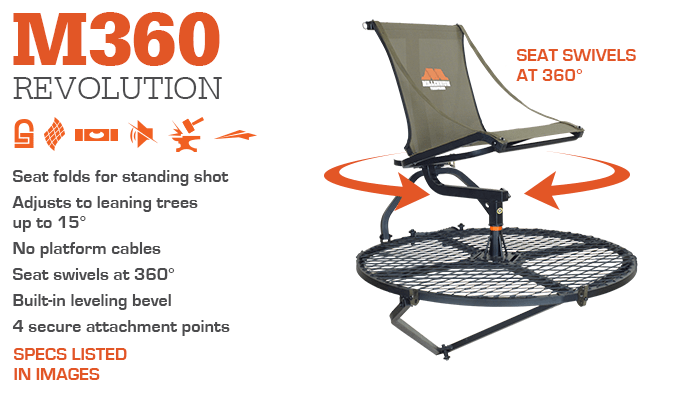 The M360 Revolution Hang-On Stand derives its name from its 360-degree swivel seat which gives the hunter viewing and shooting angles no matter what direction the game appears. Millennium stands are engineered to be the most comfortable and quietest stands period. MANY HAVE TRIED TO IMITATE, BUT NONE CAN MATCH THE DEMANDING ATTENTION TO DETAIL THAT MAKES MILLENNIUM A LEADER IN THE INDUSTRY. Our exclusive features are the first of their kind. That is why no other stand on the market allows you to hunt longer, move quieter or climb safer than Millennium. We are pioneers of the exceptional hunting experience. 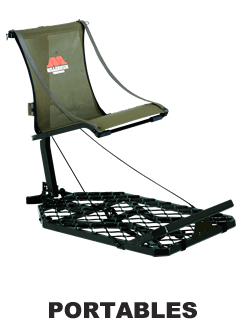 The exclusive patented confortMAX seat features a tight, light-weight, poly tech sling-seat construction that provides hours of comfort on stand. It’s durable, nonstretch, fabric doesn’t absorb water or scent and is quiet to the touch. 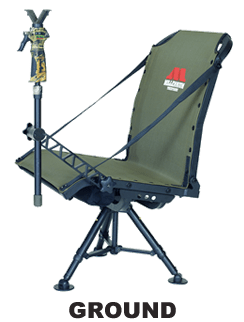 The M Series Hang-On’s utilize exclusive, patented camLOCK Receivers to lock the stand into position in seconds. Simply secure the camLOCK Receiver to the tree, then hoist up M Series Hang-On stand and slide its aluminum stabilizing post into the receiver. camLOCK Ratchet Strap Receiver also available (M102S). 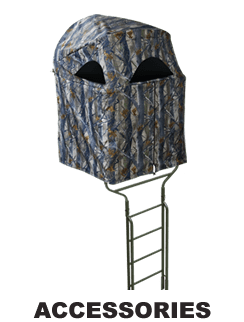 We’ve thought of everything to keep our stands quiet yet functional during the hunt. Tested under the most extreme conditions, our stands are proven to be as silent as they are comfortable. Designed for maximum portability, our all aluminum stands are built to minimize weight without compromising strength and stability. 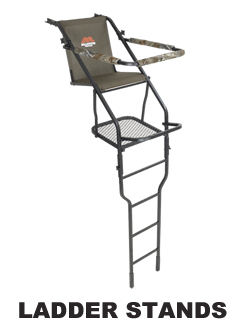 Our ladder stands feature strong welded steel construction for years of use and abuse, yet they are easy to set up and transport thanks to their fold flat design and double rail ladder system. Millennium proudly supports the military. please call for more details.